Hi friends! I just wanted you to know that I will be a speaker at the upcoming indie business and craft conference, Craftcation this March 22-25th! This conference is very special to me for many reasons! It’s being organized by the insanely talented Delilah Snell, whom I love and adore, I get to speak THREE times on crafting, blogging and photography (some of my VERY favorite things! ), I’ll be selling DVD copies of the two Craft Photography Videos I recorded overseas this summer, AND it’s being held in Ventura, CA- the sweet, sea-side town I called home for five years before moving to Los Angeles! You can find the full schedule online, but I really hope you will consider signing up for my sessions- we are going to have a TON of fun! The Craftcation Conference: An Inspiring DIY and Indie Business Whirlwind! Radmegan Sessions at Craftcation are Selling OUT! 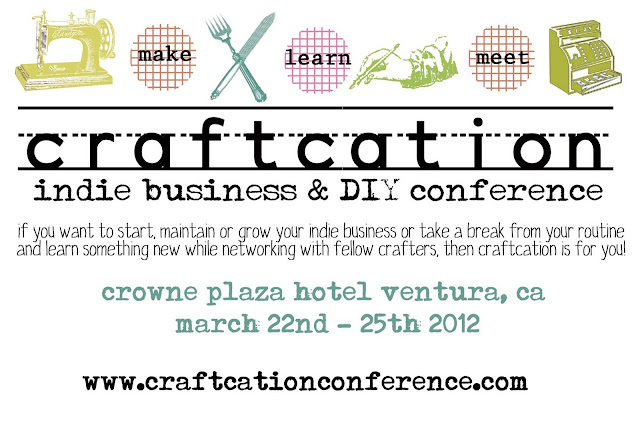 Let’s All Meet in Ventura for the Craftcation Conference- March 21-24!! Available Now: The Art of Craft Photography Craftcation ’14 in Instagram Pictures Buy Your Tickets for Craftcation Now! we have to admit that the hotel is pretty KILLER…so glam..this is more a craft-resort i never want to leave when there! !